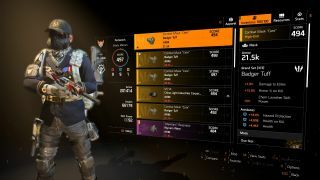 Our guide to The Division 2's gear sets, including how you unlock them, what they do, and which are the best. Gear Sets have finally come to The Division 2. The recent update that introduced World Tier 5 and the Tidal Basin stronghold also brought the first three gear sets to the game, offering stacking bonuses the more pieces of a set you equip. Gear sets work slightly differently in The Division 2 to how they did in the first game, so some help getting to grips with the role they serve in the endgame, and how to get them, may be needed. The easiest way to explain gear sets is by comparing them to the gear brands found throughout the rest of the game. Many players may have just seen names like “Sokolov Concern” and “Fenris Group AB” as flavour text, but in fact equipping multiple pieces of the same brand offers stacking bonuses (for instance, you can unlock buffs to SMG damage, critical hit damage, and Seeker skill power should you have three Sokolov Concern items equipped). Like the brand sets, gear sets provide stacking bonuses depending on how many pieces of the same type you equip. Unlike the buffs you’d find from brands, though, higher tiers of gear sets provide unique bonuses and abilities that can’t be found any other way. The other big difference between brand sets and gear sets is that gear set items are given their own rarity tier, represented by a bluey-green colour, while you can find items for all brands at any rarity. On the one hand, gear set items are harder to come by than items sharing the same brand. On the other, farming for the precise gear set item you want is easier because there are fewer other items that could also drop in their place, unlike the many brands competing with each other for standard gear. Gear set items may offer unique bonuses, but there is a massive downside to using them over standard gear. Each piece of normal loot is not only part of a brand that adds stacking benefits, it comes with a randomly-assigned set of talents, such as Everlasting (holstering the applicable weapon triggers passive ammo regeneration while on cover) and Safeguard (150% bonus for armour repairs and healing for 20 seconds after killing an enemy). Gear set items do not have these talents, meaning the only benefits you get from them are the ones triggered by equipping multiple pieces. This is a decision that’s caused quite a stir in the community, with many endgame players choosing to ditch gear sets completely and focus on farming for standard gear with decent stats and preferred talents instead. The first of the two most common gear sets is the True Patriot, and it’s also by far the most complex set currently available. The set includes the Heft Grade A Mask, the Appleton Body Armor, the Driver Excursion Pack, the Ross Hand Protectors, the Young Low-friction Holster, and the Sheridan Kneelers, all decked out in red, white and blue spray paint. No prizes for guessing why it’s called “True Patriot”, unfortunately. The first three tiers are pretty standard. At two piece you get a +10% damage to enemy armour, at three you get a 10% protection bonus from Elite enemies, and at four pieces you gain 10% total armour. It’s at the fourth tier where things really get interesting. With five pieces equipped, you unlock the Red, White and Blue talent. This applies one of three debuffs to an enemy whenever you land a shot on them, with which debuff being applied cycling every four seconds. Note that, once applied, a debuff will remain on that enemy, letting you stack up all three over approximately 12 seconds. The only debuff that directly impacts the enemy is Red. This one reduces the damage the afflicted enemy can deal by an undisclosed amount, although community experimentation currently pins it at somewhere around 15%. Blue and White, on the other hand, provide bonuses to players who shoot the enemy the debuffs are applied to. White restores armour, while Blue reduces skill cooldowns, although by how much is also not made public. Should you complete the set and equip all six pieces, the Full Flag talent activates. This is a handy ability that shred 25% of the damage you deal to an enemy who has all three debuffs applied with any other debuffed enemy within a certain range. When applied to the right enemies (tanks are perfect for it), True Patriot can be a fantastic crowd-control gear set. The second of the two gear sets found through normal methods is Ongoing Directive, a gear set focused on buffing any status effects you may inflict on an enemy. The six pieces are the Gatherer’s Mask, Resource Harness, Loadout Frame, CQB Fist Guards, Special Ammo Holster and the Knee Poleyn. From an aesthetic perspective, the Ongoing Directive is a lot sharper and cleaner than the DIY-feel of the True Patriot, but, skills-wise, it’s a much less interesting set. Two pieces equipped unlocks a +20% weapon handling buff, three a 25% increase in burn damage, and four a 25% buff to Bleed damage. These are probably the most useful attributes of the set, and even they can be found on other gear and mods. At five pieces, the Emergency Requisition talent kicks in, automatically collecting all armour kits, ammunition and grenades within a 40-metre radius… every 30 seconds. It’s convenient, but it isn’t exactly going to turn the tide of a battle. At six, the full set unlocks The Right Tool… talent, which, on killing an enemy, offers special ammo (as in incendiary, explosive and shock rounds, not special ammo for your specialisation’s weapon) for a different gun to the one you killed them with. Ongoing Directive is a bit naff, in all honesty. Its talents are incredibly underwhelming, especially considering you’re trading roughly a dozen talents from standard gear for the meagre bonuses a complete set provides. The only time you really should consider going for an Ongoing Directive build is by combining it with the Survivalist specialisation and its buffs to status effects, but even then, it’s a hard sell. These two gear sets are the easiest ones to get a hold of, as they’re random dropped by Black Tusk elite enemies and bosses once you hit World Tier 5. Good places to look for them include Black Tusk bounties and any activity in the open world that the Black Tusk are involved in (you can check this on the map before engaging to avoid wasting time). By far the most reliable source of gear set pieces, though, is from completing Invaded Missions and Strongholds. These guarantee at least one piece for completing them, and they tend to have a lot of elite enemies who increase the chance of getting more throughout. The missions that are invaded reset weekly, so make sure you complete them each week to get the complete sets as quickly as possible. Hard Wired is the most elusive of the three sets, and acquiring it is a very different process to True Patriot and Ongoing Directive. You’ll have to grind through six missions at least twice, collect a unique material in the open world, and harvest as many crafting resources as you can. It’s a massive pain, but, to make up for it, Hard Wired is probably the only gear set worth getting your hands on right now. Once you’re in World Tier 5, a new Project will be added to your list. You can access it either through the map screen or the many project kiosks found in the three main settlements, and it’s called Goal Project: Hard Wired Prototype. To complete the project and unlock the blueprints for all six components, you’re going to have to do some farming. Play the six non-invaded missions listed on any difficulty—Grand Washington Hotel, Jefferson Trade Center, Federal Emergency Bunker, Lincoln Memorial, Air & Space Museum, and Bank Headquarters—until the final boss of each drops a unique component part. The drop rates for it aren’t known, although, from anecdotal experience, Normal difficulty seems to get the highest success rate. It took around a dozen runs of Jefferson Trade Center on hard to get a component, while on Normal I got it, and every other mission’s component, first time. You’ll also need to get a hold of 30 Hard Wired Materials. While the description says you can get it from Black Tusk patrols and activities in the open world, a great place to farm for them is the Occupied Dark Zone. This area exclusively contains Black Tusk enemies, and the chances are you’ll have good enough gear to deal with them pretty easily, provided you can avoid Rogue Agents for long enough. Clear a few checkpoints, and you should have the 30 materials you need. From personal experience, it’s easy to forget this is a Project, unlike farming for something like the Chatterbox. Always remember to donate your materials and components in the Projects menu, or else they won’t register as being put towards your goal. Once the project is completed, you’ll be rewarded with six blueprints for the Rhodeswood AR Mark, Serpentine Array Vest, Abberton Dynamo Carrier, Molesey ESD Gloves, Ullswater Proxy Rig and Strines Stabilizing Pads. To craft them, you’re going to have to go through the same six missions you just did again and collect another set of the components, and go kill some more Black Tusks for a healthy amount of Hard Wired Tech. Fortunately, the other materials needed to craft each part are fairly common (for instance, the Serpentine Array Vest requires 36 Ceramics, 26 Carbon Fiber and 85 Protective Fabric), and you should have more than enough after jumping through all the other hoops. It takes a lot of effort, but at least you can craft a complete set and not rely on random drops like the other two. After all that effort, you’d hope the Hard Wired set would be something worth having. While it still has the massive downside of not having any talents like a high-end gear piece, the unlockable traits are actually somewhat decent. At two pieces, you gain 20% skill health, at three pieces shock duration is increased by 20%, and at four there is a +20% bonus to skill power. At five pieces, things get interesting with the Tamper Proof skill. ‘Deployed skills’ (hives, pulses and turrets) become electrified, shocking any enemies who walk too close every 10 seconds. With a bit of practice this can be used to hold enemies in chokepoints, or create a defensive perimeter that can hold off rushing enemies like tanks and suicide bombers. Six pieces unlocks the Feedback Loop skill. If one kill kills an enemy, the cooldown timer for the other skill will completely reset. If you repair a teammate’s armour from zero (through a skill like the repair drone), both of your skills’ cooldown periods will reset. While this can only happen every 15 seconds, this is an incredibly versatile trait. Damage-dealing skills could reset the lengthy timer on a respawn hive, or, with the right pacing, you could juggle two offensive skills and have drastically reduced cooldowns on both. For builds that focus on skill power, running a Hard Wired set could be something to seriously consider. On the one hand you lose the talents of a high-end set, and making a decent skill power build is already difficult enough as it is under the current, hyperinflated skill power system. On the other, being able to immobilise the enemy with Tamper Proof and then completely skip a cooldown period with Feedback Loop can be a devastating combination. Gear sets are, right now, probably not the way to build the ultimate Division 2 agent. If they’re not incredibly time-consuming to get, they offer less-than-stellar traits at the cost of essential gear talents. Despite that, it’s still worth putting in the time it takes to get the complete sets, as the current community response almost guarantees reworks down the line to make them more viable. Getting all your ducks in a row, and wrapping your head around their different roles, could pay off later on in the game’s life in a big, big way.